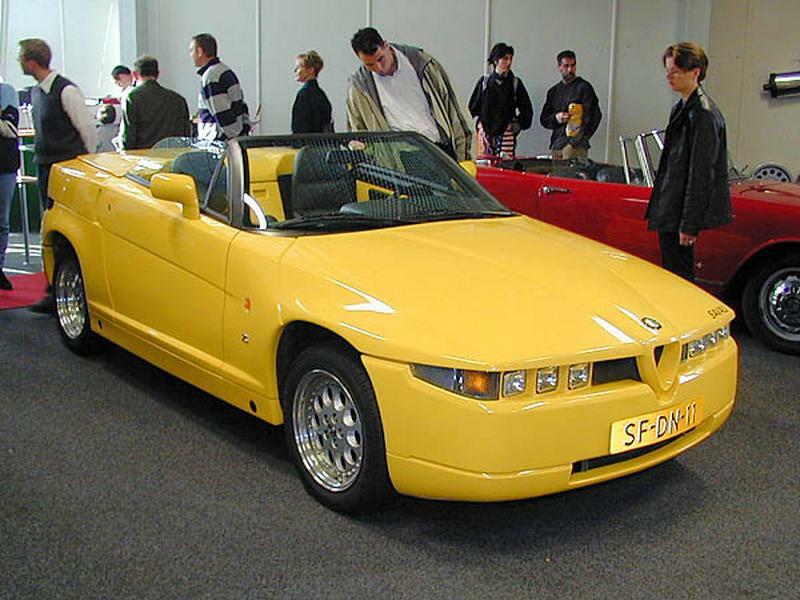 The Alfa Romeo RZ (Roadster Zagato) is a very unusual model indeed one of the rarest post war cars made, in all only some 278 of these left the factory, 50 in 1992 and the remainder in 1993. 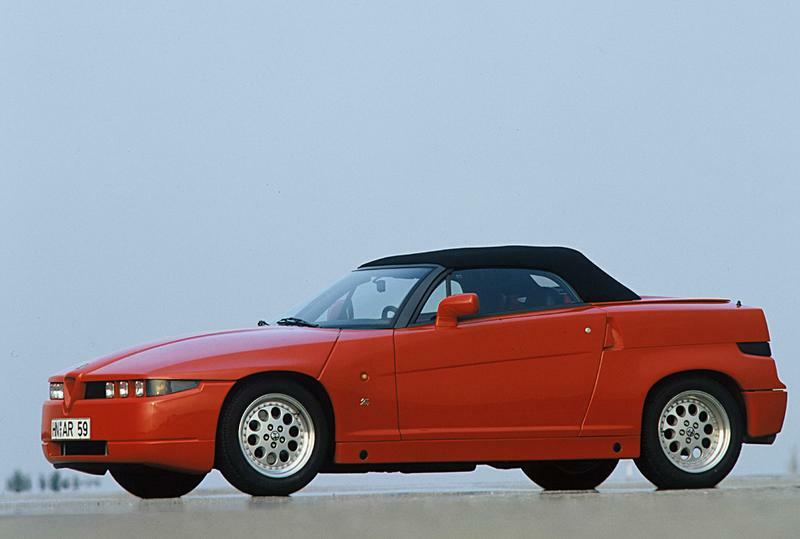 While the styling obviously comes from its SZ sibling virtually all the panels are different, note the lack of the fluting at the back of the bonnet, even the windscreen is two inches shorter than the one in the SZ. The chassis of the RZ has a number of modifications so that the removal of the roof did not have too much of a detrimental effect on the handling and this took the weight of the car up to nearly 1400 Kg almost 200 Kg heavier than the SZ. The RZ has exactly the same running gear as an SZ so it maintains the 210 bhp V6 engine with transaxle gearbox although the suspension is set up slightly more on the compliant side which helps to mitigate the amount of scuttle shake although it does still have the hydraulic suspension lifting system to get you over speed bumps etc. 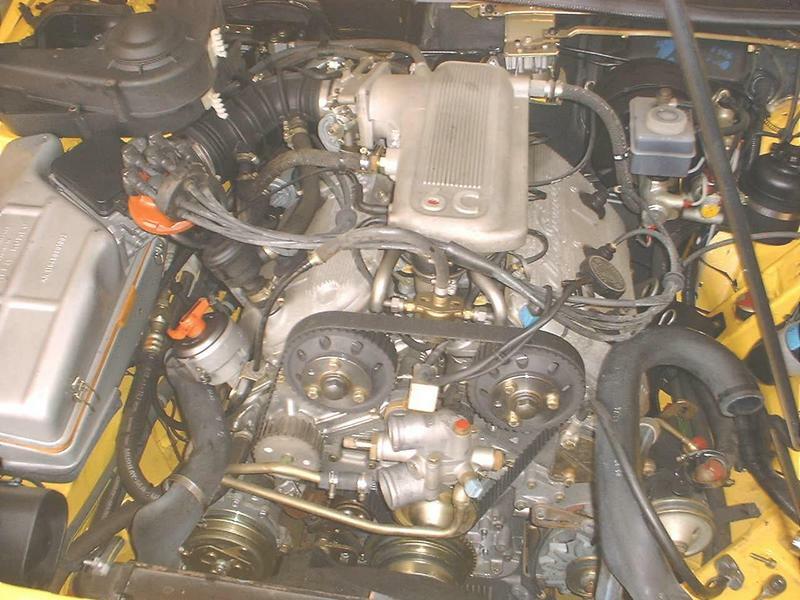 The transmission is the same ratio as the SZ and also has the transmission oil cooler and an oil pump on the front of the second motion shaft bearing to aid gearbox life. 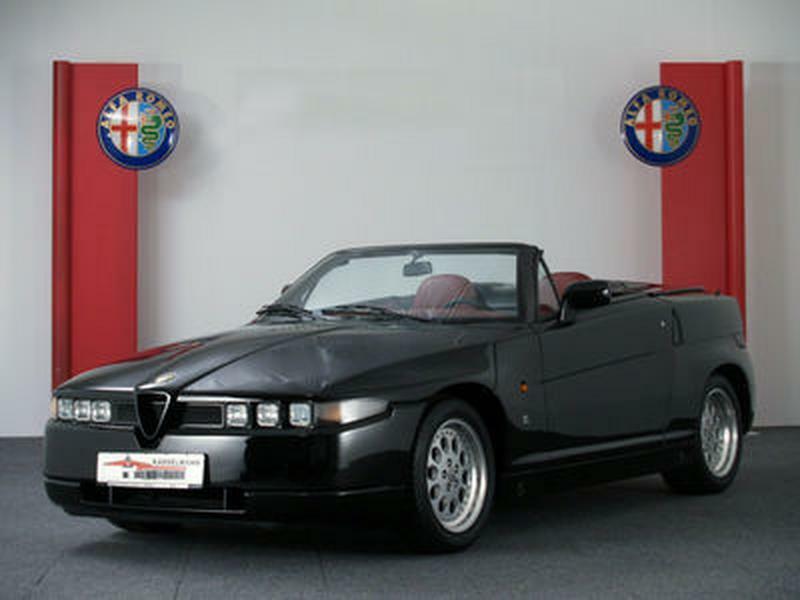 The clutch is a dry single plate pull type, similar to the SZ and 75 3.0l (the lower power 75’s have a push type clutch) and it works well, while the gear linkage is similar to that of a 75 but with a shorter throw which improves it greatly to the point that you cannot tell that the car has the old Alfa Romeo transaxle gearbox. The RZ came in a choice of colours, unlike the SZ you could have red with a cream interior, black with red interior or yellow with a black interior there are were also a very small number of silver ones. 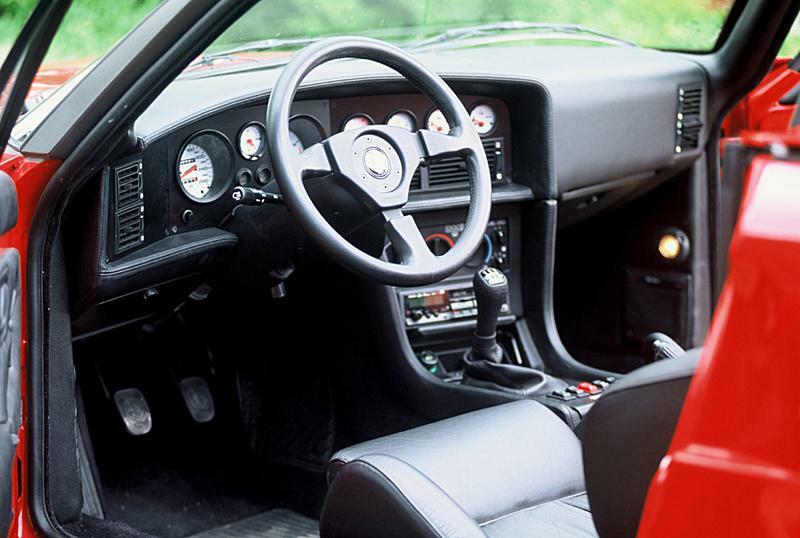 The dash also had a number of changes in that the facia was now just plain black and the dials were now black numerals on a white back ground while the dash itself was still covered in leather, all in all it has a very nice feel. The seats are identical to the SZ and fold forward and together with the rear part of the centre console which also folds forward to give access to a very, very small amount of luggage space under the hood. The hood mechanism works manually, there is an initial release on the centre console with a safety catch behind the drivers seat, this lifts the rear deck and the hood folds out from in this cubby hole. As with the SZ the “Boot” just contains the spare wheel, tool kit and the hydraulic pump for the suspension. The RZ is a completely different animal to the SZ to drive mainly due to its lack of torsional rigidity, if you want a car for its outright grip and driver feed back the SZ is your car not the RZ. 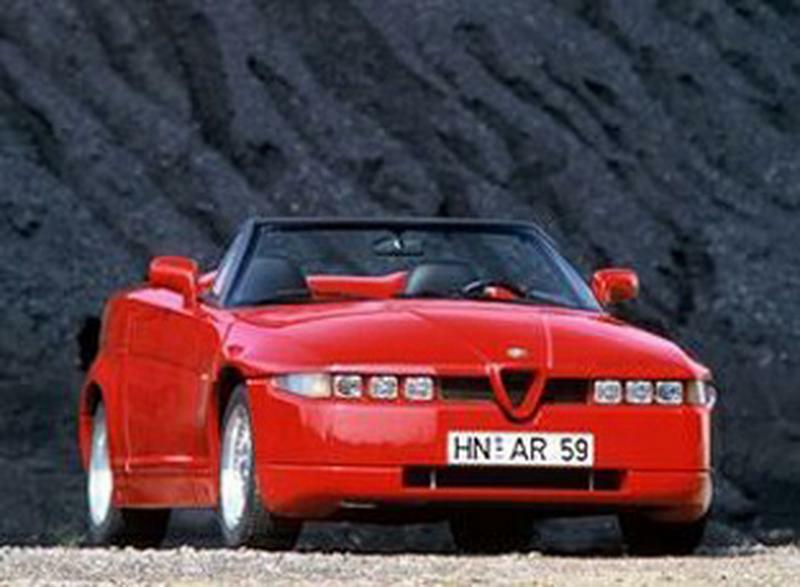 However with the roof down there is THE noise, wow you don’t get anywhere the same chorus from the SZ unless you are in a tunnel, it is the nicest sounding Alfa Romeo to drive, dare I say this, even better than the 8C. Handling is good but it does suffer from some scuttle shake and when pressing on it tends to slight under steer in the dry, while in the wet it can be a bit of a handful. With the hood down, the only way to drive it, you get very little buffeting even well above 100 mph and if it should happen to rain the screen will deflect the rain over your head at anything above 60 mph. As a car with the roads as full of speed camera’s as they are today it may be a better bet than the SZ as you are not encouraged to go everywhere flat out everywhere and in Red with cream it looks stunning, now all that remains to be done is to extend my Garage………..